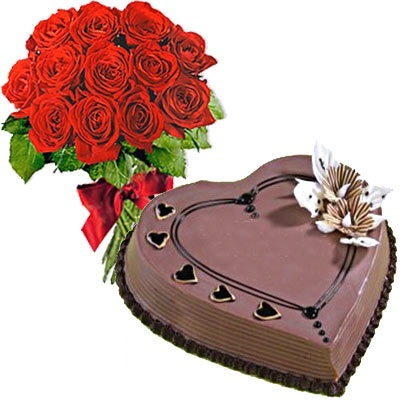 Expressive Love Combo consists of 20 Red roses bouquet and a delicious heartshape Chocolate cake. Fillers and greenery has been added to the bouquet to make it more attractive. Red roses represent romance and represent your soft feelings quite gracefully.